Oliver North's lawyer to represent News Corp. Embattled media conglomerate News Corp. has hired the lawyer who represented Oliver North in the Iran-Contra affair, according to the ABA Journal. 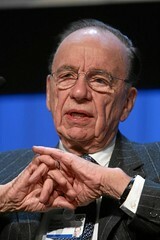 Multiple sources report that Brendan Sullivan of Williams & Connolly has been retained by News Corp., which is facing more than two dozen suits stemming from the phone hacking allegations that recently sunk the company’s News of the World tabloid in the U.K. News Corp. chairman Rupert Murdoch (pictured) has accused Hartbottle & Lewis, the firm retained to investigate the hacking allegations, of making a “major mistake” in its estimating of the potential scope of the problem. Meanwhile, the FBI is conducting a preliminary inquiry into reports that the tabloid also tried to gain access September 11 victims’ phone records.